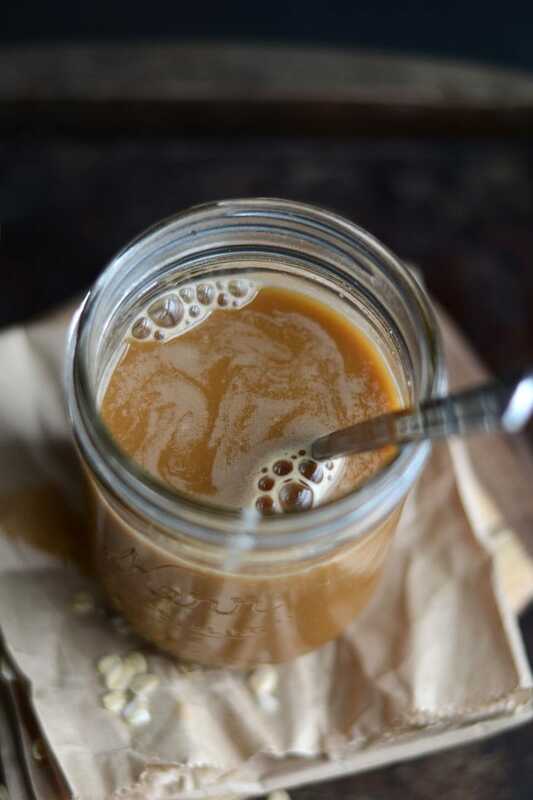 My morning cup of coffee + this Vegan Oat Milk Coffee Creamer are just about as perfect as can be. It’s the little things, right? 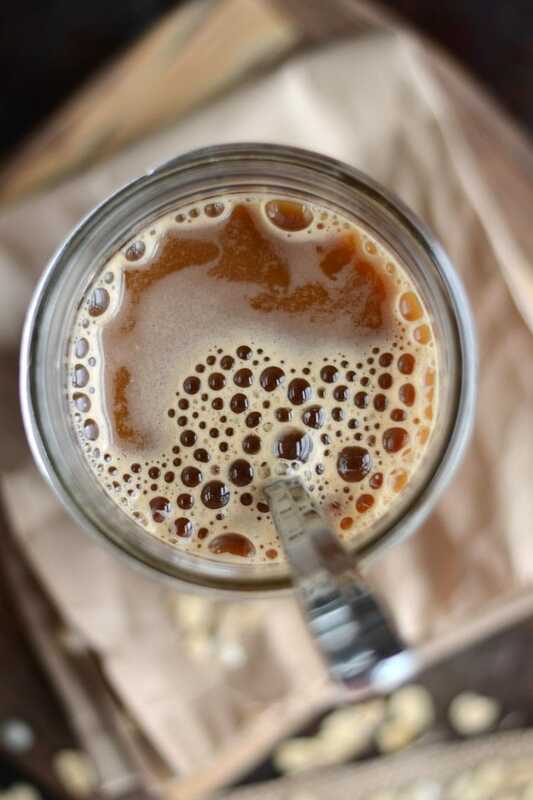 If you like your coffee rich, creamy and flavourful yet dairy-free, you need to try this quick and easy, healthy vegan coffee creamer. 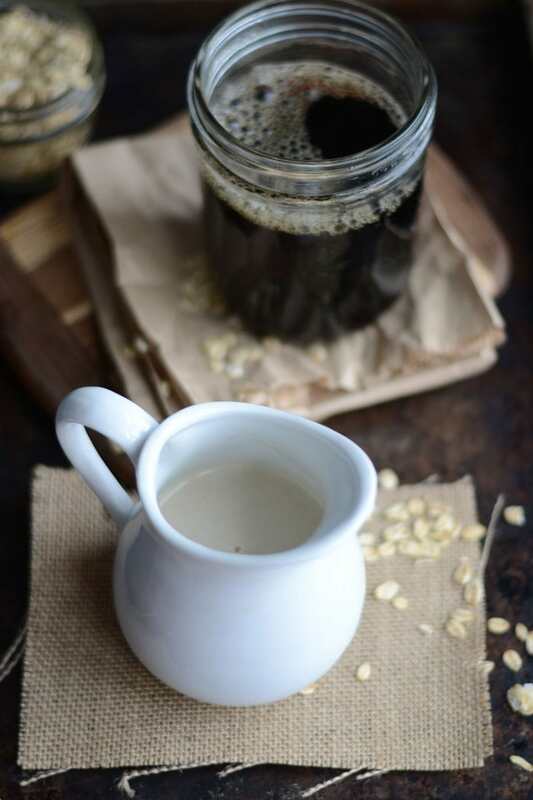 What I love about this creamer is you don’t need to soak almonds or cashews for hours to make it, you only need a few minutes for your oats and you’re all set! I’ve actually made this with hemp seeds too, which is also most delicious. Store-bought dairy-free coffee creamers are ok in a pinch but they’re also filled with ingredients you could definitely do without. This version only has a few simple ingredients, and you could even go sugar-free by omitting the maple syrup. With simple and delicious alternatives like this sweet creamer, replacing the dairy in your diet can be a breeze. Feel free to play around with the add-ins for this too, you can sweeten it with anything from dates to stevia or leave it unsweetened if you prefer. You can leave out the vanilla or try replacing it with almond, maple or coconut extract. You could also replace some of the water with coconut milk for another layer of flavour! 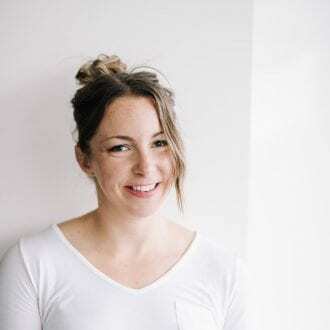 This dairy-free creamer pairs perfectly with your favourite coffee. It’s so easy to make, it only takes about 10 minutes total to make, no need to soak any nuts! It’s also an inexpensive option to store-bought dairy-free coffee creamer. 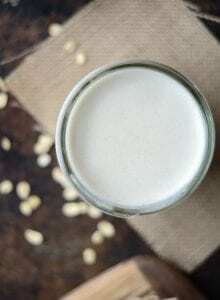 You can also try my homemade oat milk, homemade almond milk or vegan bulletproof coffee as an alternative to this creamy. Place the oats and water in a blender. Blend for 30 seconds until smooth and creamy. Strain the liquid through a fine sieve back into the blender, then add the maple syrup and vanilla and blend for a few more seconds. 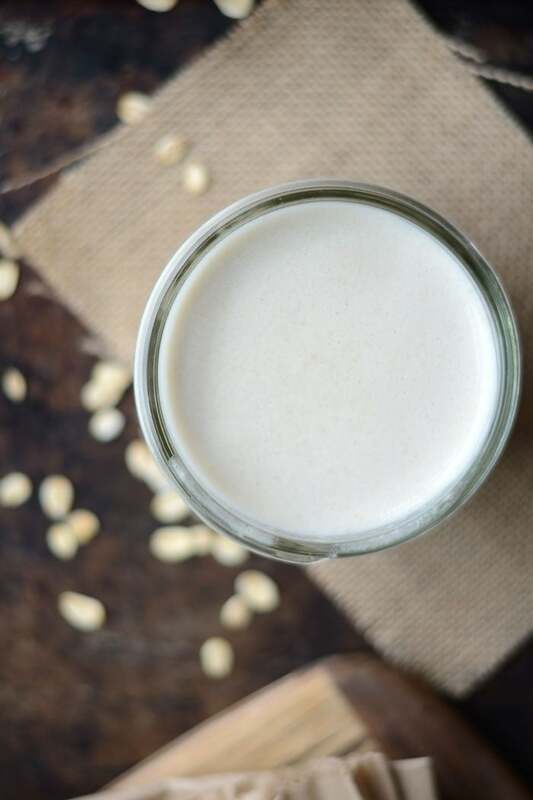 I always make oat milk for my smoothies, but I never thought of making it for a creamer! It sounds fantastic! I’ve never heard of using oats! 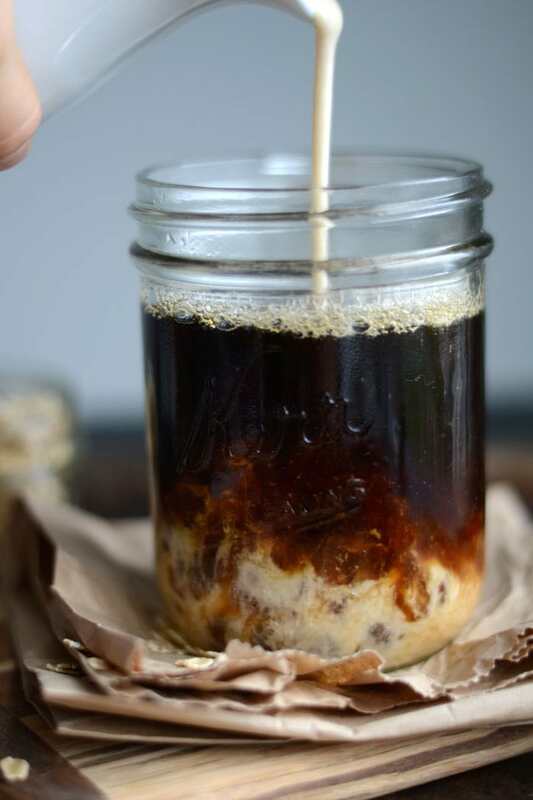 This creamer sounds ah-mazing and I ALWAYS have tubs of oats in the house so I’m definitely going to give this one a go, maybe even tomorrow! This non-dairy vegan creamer is GENIUS! I cannot wait to try this one. There isn’t much you can do with coffee to enhance the flavor so I am okay with trying a different method to making the coffee taste better. I love having creamer in it because it needs that. Black coffee is too strong for me. I like to drink the coffee for enjoyment. Is it okay that I share this recipe with others? What temperature should the water be? Warm, hot, cool, room? Just omit the maple syrup and vanilla, that’s it! 🙂 Good luck! This is really better if you soak the oats for a few hours then rinse before blending. That’s awesome! It sounds ammmazing with cashews! Sounds delish. Can you freeze it? I’m not too sure, to be honest! I’ve never tried freezing oat milk or oat creamer. It couldn’t hurt to try a small portion though.